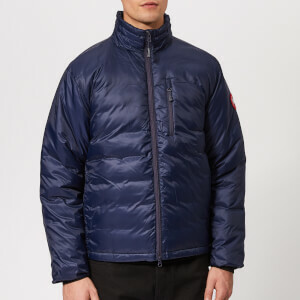 Canada Goose 'Lodge Hoody' down jacket, field tested for the coldest places on earth, and originally designed for scientists in Antarctica. Crafted from windproof BASECAMP-20D nylon ripstop shell with a duck down fill for ultimate comfort and warmth in extreme climates. 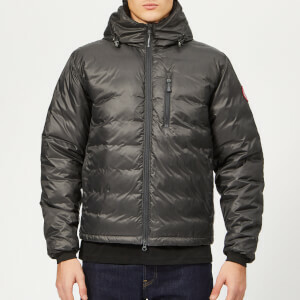 Its quilted design ensures even heat distribution and bulk reduction. Cut in a slim fit with a longer rear hem, the coat comprises an adjustable hood, a high collar with a brushed tricot chin guard and a heavy-duty, two-way YKK zip front fastening. 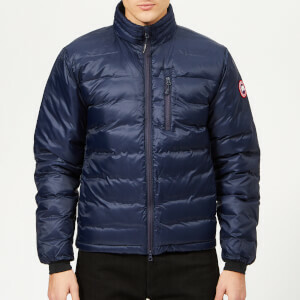 Two zipped handwarmer pockets and a Napoleon chest pocket also feature. Complete with an inner mesh pocket, elasticated cuffs and a drawcord hem. 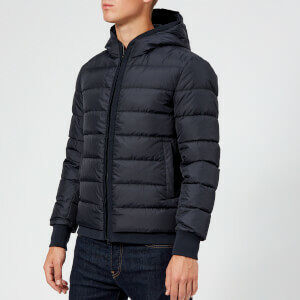 The padded coat packs away into the internal zipped pocket for convenient transportation. A branded logo badge is situated at the left sleeve. Shell: 100% Nylon. Lining: 100% Polyester. Filling: 750 Fill Power White Duck Down.